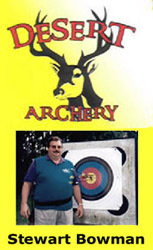 Desert Archery has every thing the archer needs. Come And See us! Tradional Supplies and the largest inventory of New Bows in Arizona! Our Indoor Range is just Steps Away! Now you can try it before you buy it! 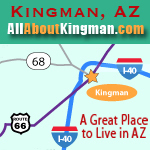 If you enjoy hunting and fishing, Kingman, AZ is a great place to live! Mohave County Arizona offers some of the best hunting in the nation. If you have hunted in Mohave County before, you know of the diversity of wildlife and habitat that provide extraordinary hunting opportunities. If this is your first time hunting in Mohave County Arizona, you are in for a memorable experience. Most BLM National Monuments are open to hunting. 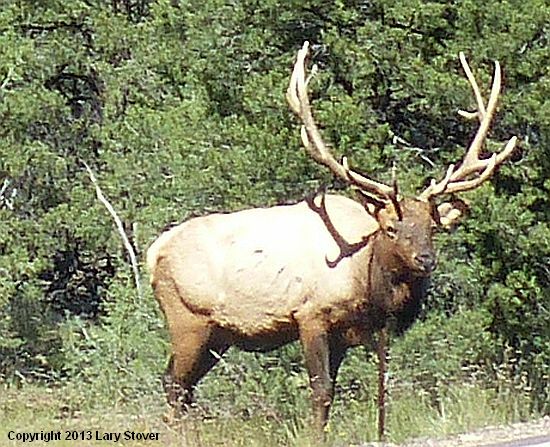 Generally, U.S. Forest Service lands in Arizona are open to hunting. Some of the larger county parks have limited hunting, State Trust Land requires a valid lease or permit. Hunting on Indian Reservations, if allowed, is controlled by each individual tribe. Hunting is allowed on Military Reservation but check before you enter. Hunting is prohibited in all National Monuments, National Parks, and National Historic Sites. Lake Mead National Recreation Area does have areas that are open to hunting. Wilderness Areas do not allow motorized travel except where specifically permitted. BLM lands in Arizona are generally open to hunting. While there is no requirement for hunters to wear orange in Arizona; it is STRONGLY suggested that all hunters adopt this valuable safety precaution to help others see and identify them in the field. Hunters are ask to use non-lead bullets, especially in the Condor Country. The Condor is NOT on the hunting list, but to help protect them from eating the lead fragments in carcasses left in the field you are ask to use copper bullets. Copper bullets have superior penetration, are less toxic, and do not fragment like lead. 93 percent of hunters today find the non-lead bullets perform as well as or better than lead bullets on game. Hunters have played a significant role over the past 100 years in recovering and reestablishing wildlife populations. Jaguars are listed as endangered in the U.S under the Endanger Species Act. Jaguar tracks are similar to mountain lion track. If you come across a Jaguar, back off and leave it alone. Then count yourself blessed with a rare event in the sighting of a Jaguar. The Arizona Game and Fish Department has juniors-only hunting where they have exclusive application opportunities. Some of the hunts have reduced fees. Juniors are not limited to these hunts. Juniors may apply for other season hunts. 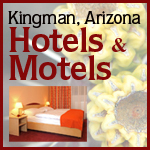 Arizona State law prohibits discharge of firearms in the incorporated limits of any municipality unless except by local ordinances. You must have written or verbal permission from private property owners for use of their legally posted private lands. Legal shooting time is during daylight hours. In general, if you can see well enough to shoot safely, you are legal. Be sure what you are shooting at! For any upcoming hunt make sure to do your homework. Good luck and enjoy your Mohave County Arizona hunting experience.